This is not some random book review. I have a personal investment in Max McCoy’s underwater thriller, and to be honest, Max is a friend and mentor. As the Scientific Director and Senior Scientist of the Navy Experimental Diving Unit (NEDU), I get some unusual calls from time to time. One of the most memorable was from a novelist, Max McCoy. Not being an avid reader of Westerns, I had never heard of Max, but he had an interesting question. 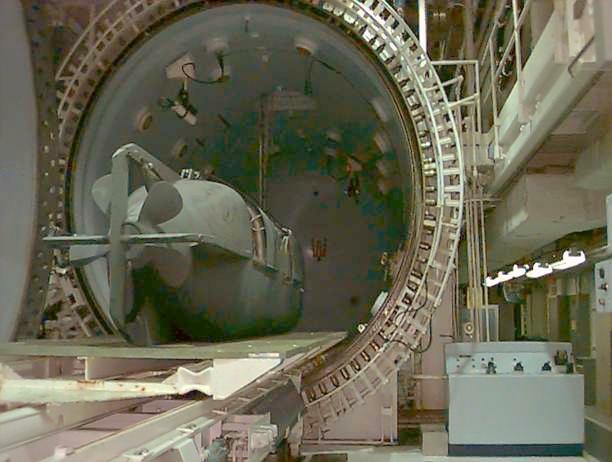 He wanted to know if our large, high pressure chamber, called the Ocean Simulation Facility, could be used to depressurize a small submarine. He gave me the dimensions of the submarine, and little other information to go on. The unequivocal answer was yes, it could be done fairly easily. With that affirmation, Max traveled to NEDU. After touring our facilities and meeting with our Commanding Officer, engineers, scientists, and submarine medical officers, he began sketching out a closing chapter of his manuscript, the Moon Pool. NEDU would be prominently featured. During his visit, over lunch, we talked a little about my non-fiction writing project, a spiritual/supernatural collection of carefully filtered anecdotes. He encouraged me in my efforts, and even shared an amazing story of his own. But what Max did not know was that I was stuck in the style of science writing that had been the mainstay of my scientific career. It was hard writing, and frankly, hard reading as well. When Max returned to Kansas, he sent me his manuscript, which I devoured. The Moon Pool was a change of pace for Max as well. He had been an avid diver for years, and had a diving related story brewing in his mind for some time. For him, The Moon Pool was a welcome, if temporary, release from the Western genre for which he was so well-known. When I finished the manuscript I began an almost maniacal writing session of my own — an all nighter — writing how I thought the NEDU chapter should read. Since no one would see it, I featured myself and my buddies, inserting our characters into the story, and with a plausible and action-filled story line. I had never had so much fun writing — the words spilled out of my head onto the keyboard. I sat on that secret product for probably a week before I told Max what I had done. He asked to see it, and much to my surprise, he and his publisher liked it. Even more to my surprise, my character and those of my friends ended up in the last chapter of Moon Pool, modified of course to meet Max’s needs. That book, published in 2004, has a treasured place in my office at NEDU. On the back cover is my blurb, “A one-of-a kind underwater thriller. The sinister beauty of the underwater world is painted in hues that only an avid diver and inspired novelist could capture.” On the front cover, my dear friend Bob Barth, the Navy’s first Aquanaut, wrote, “A great book! 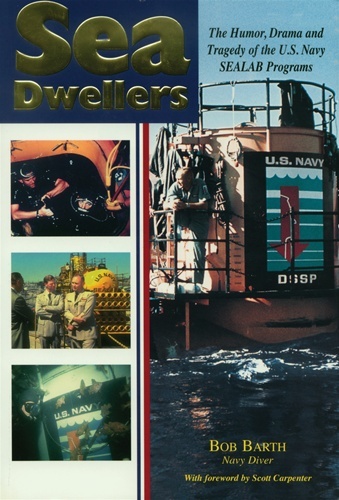 Compelling stuff.” By the time Max visited us, Bob had authored his own book on the Navy’s historical Sea Lab program. I owe a great deal to Max, for he taught me just how fun creative writing can be, and how, with proper guidance, it can be turned into a commercial product. I have since written two books, one written in record pace, for me at least. The novel, working title “Children of the Middle Waters” is a mixed military-science fiction story that involves my favorite things, flying and diving, with a pinch of top-secret government intrigue; just another day at NEDU. After a long gestational period, I used the creative writing skills developed in the novel to improve the style of the spiritual/supernatural manuscript. Both Children of the Middle Waters, and the spiritual book have yet to be published. But I’m optimistic that will happen in good time. I will discuss those works more in upcoming blog posts. 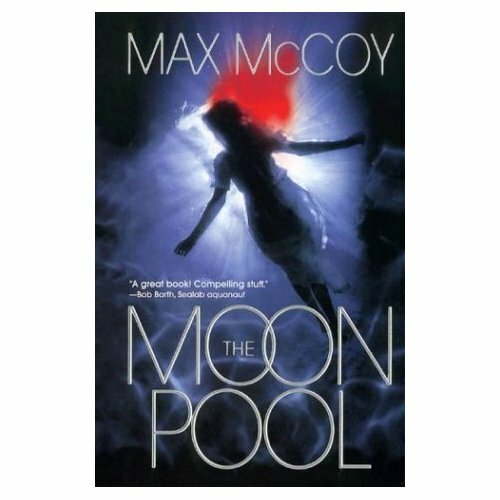 By the way, Max’s Moon Pool begins with a supernatural event that is tantalizing in its originality. Furthermore, my spiritual book contains an anecdote of a supernatural experience Max experienced when young. Finally, as a tribute to Max McCoy, he is the inspiration for an investigative journalist in Children of the Middle Waters. In retrospect, that was quite an auspicious phone call I took one day eight years ago. Below are links to Max’s web site and his writer’s blogs.